Are you interested in the world of Open Knowledge and Open Data? Do you want to be part of the open community and meet open enthousiasts and experts? Then you should definitely attend Open Belgium, which will be held on Monday March 6 in Brussels. 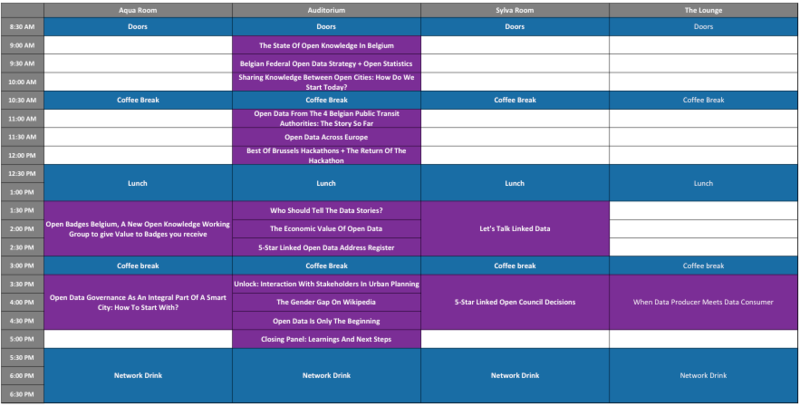 Open Belgium is an annual conference organized by Open Knowledge Belgium with this year’s theme ‘Open Cities and Smart Data’. There will be talks and discussions about how Open Data can contribute to smart urban development, the rise of smart applications and the shift from raising quantity of data to the raising quality of data. Keynotes, cases and workshops will be provided to bring you up to speed on new evolutions and best practices. Data publishers will sit next to users, citizen developers and communities to network and openly discuss the next steps in Open Knowledge and Open Data. At the end of the day there will be a network drink to share some final thoughts. What companies to meet in the Atrium? Do you have your tickets already? If not, you can buy your tickets here. If you’re not convinced yet, you can find here 5 more reasons why you should attend Open Belgium 2017.